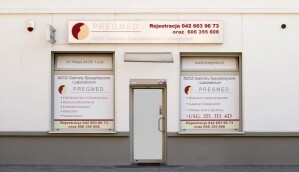 At PREGMED, we provide medical services, covering specialised care in obstetrics and gynaecology, endocrinology, andrology and urology. Our mainstream activities focus perinatal medicine, foetal medicine, infections in pregnancy, including toxoplasmosis and cytomegaly. Our Clinic contracts a team of specialists with proven expertise, supported by long-term practice, acquired at reference medical centres and university hospitals, both home and abroad. 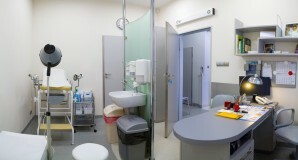 Cases of pregnancy, complicated by mother’s and/or foetal conditions, are then effectively approached and managed by the team of cross-disciplinary specialists, recognised with excellence of care. Specialised 2D, 3D and 4D ultrasound scanning in pregnancy is one of our routine diagnostics examinations. The expertise of examining staff, combined with the cutting-edge technology of our VOLUSON E6 ultrasound guarantee the highest quality of examination and diagnostic precision. Amniopuncture may be recommended with collection of amniotic fluid. 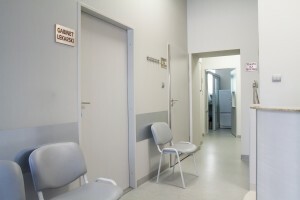 Our Laboratory offers a complete package of tests, obligatory in pregnancy, as well as a number of auxiliary tests may be ordered, if necessary. Our Clinic, while being friendly and receptive for all our Patients, ensures an individual approach to your problem, where current state of the art algorithms and personal experience of the staff certify our quality and guarantee your satisfaction.